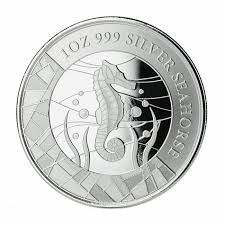 Issued in the island nation of Samoa, this is a new currency of gold coins with a beautiful seahorse adorned by a mosaic theme, almost appearing as a stained-glass window. The artistic and dynamic appeal makes this 1 oz silver BU a real highlight. The sea horse, named by its head like a horse, is native to the tropical waters that surround the Samoa Islands, in the South Pacific and can be found feeding or hiding in the mangrove forests and marine ocean beds. It contains 1 ounce of fine silver 0.999. 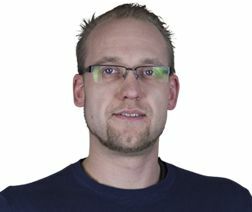 Low edition of 30,000 coins. 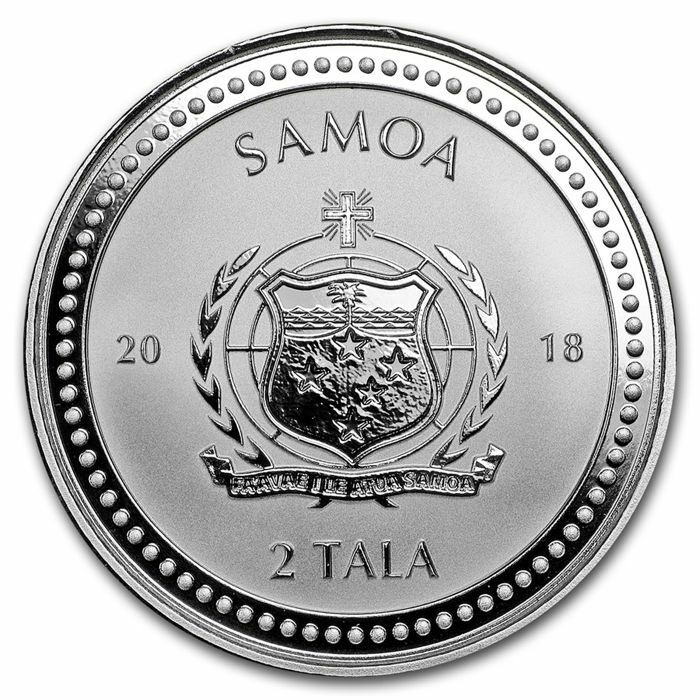 Obverse: It shows the Samoan Crest along with the title of 2 Tala (Samoa). 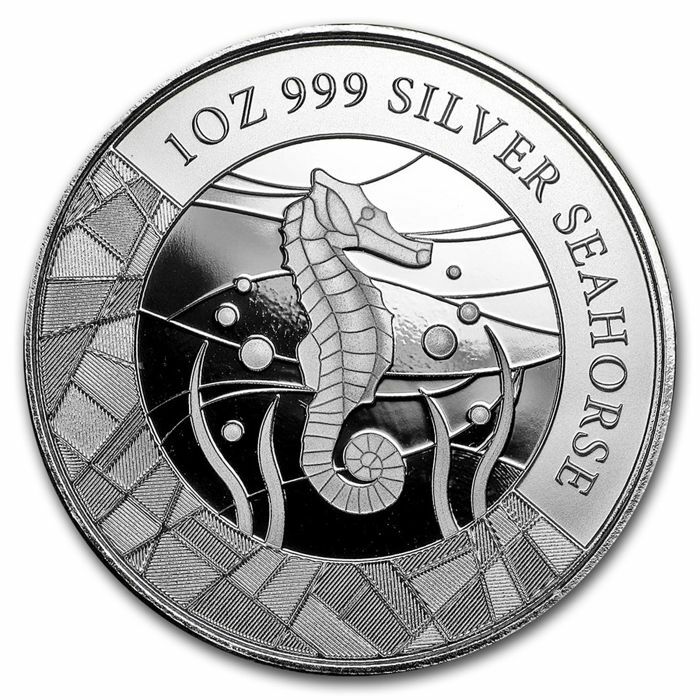 Reverse: It features an artistic representation of a seahorse camouflaged in a bed of sea grass near the bottom of the ocean, trying to deceive its many predators. 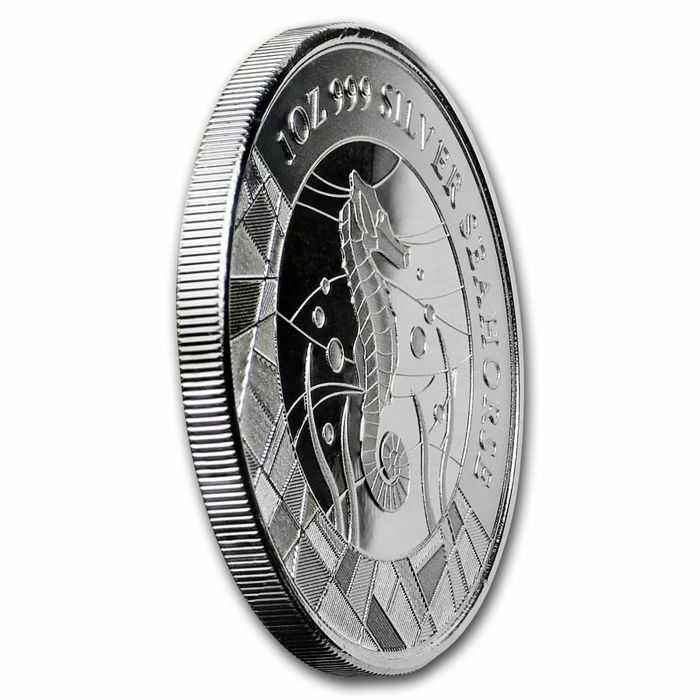 The unique design of this coin in coloured glass leaves investors with the impression that this coin resembles more a work of art than an piece of legal nature. This coin is manufactured and distributed by Scottsdale Mint and has a legal status in Samoa. 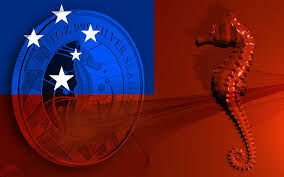 This is the first coin of the expected annual programme of 2 coins in partnership with the country of Samoa. 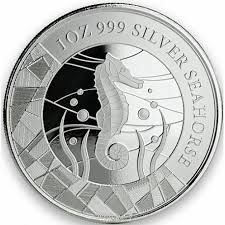 Add this beautiful piece of art, the Samoan silver seahorse, to your collection today! Du kan hämta det här objektet hos säljaren: Espargo (sta maria da feira), Portugal.